With one of the most powerful bites on the planet, crocodiles reign as the king of chomp. Scientists from Florida State University have measured the force of a crocodile bite at nearly 3,700 pounds. That’s a little less than the weight of a Dodge Charger balanced on a number 2 pencil. But if there’s one natural law even a croc can’t break, it’s eat or be eaten…. 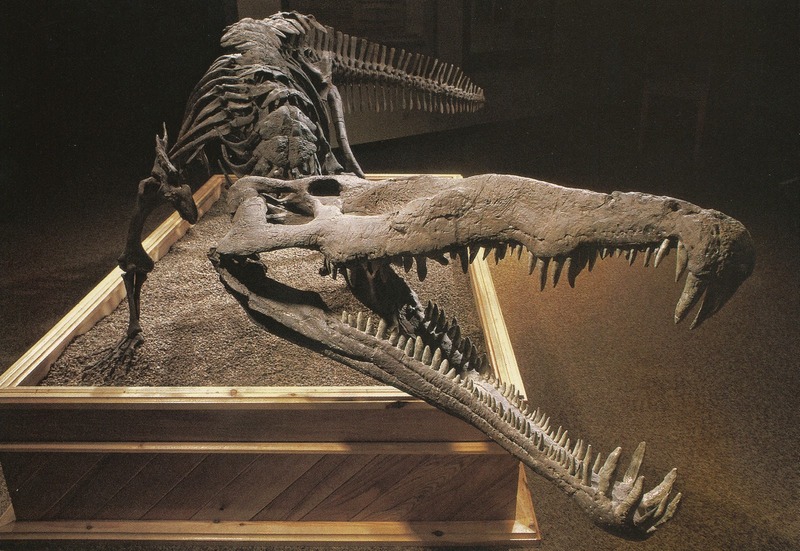 North Carolina’s fossil record contains a variety of crocodile look-a-likes. This toothy critter, otherwise known as a phytosaur, scoured the North Carolina landscape 228 million years ago. 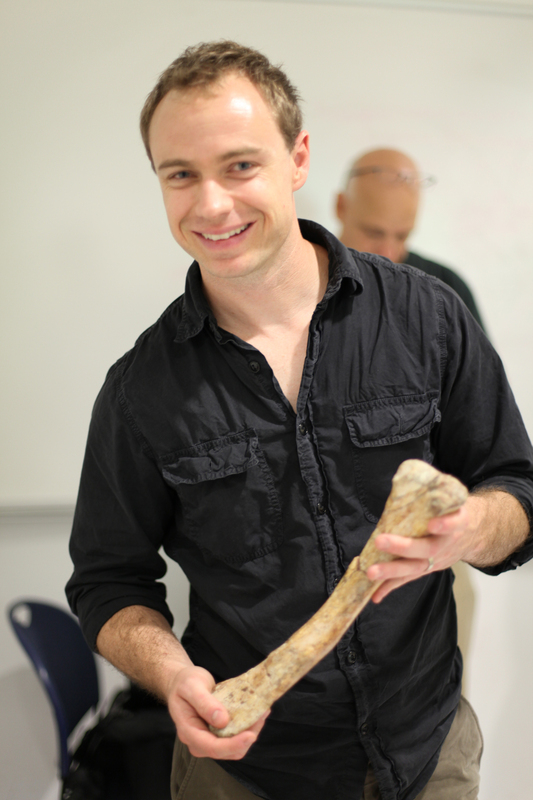 Two months ago I got the itch to go exploring (a chronic disease-process for paleontologists). Lucky for me, my colleague and long time curator of paleontology Vince Schneider had a fix. He was planning a day trip to hunt for the remains of ancient animals that lived and died in the lakes of North Carolina during the Triassic Period, some of which looked a heck of a lot like modern crocodiles. The fossilized bones of “something” rise up from the Triassic rock to greet us. After a brief consult, the team determined it was worth a deeper look. 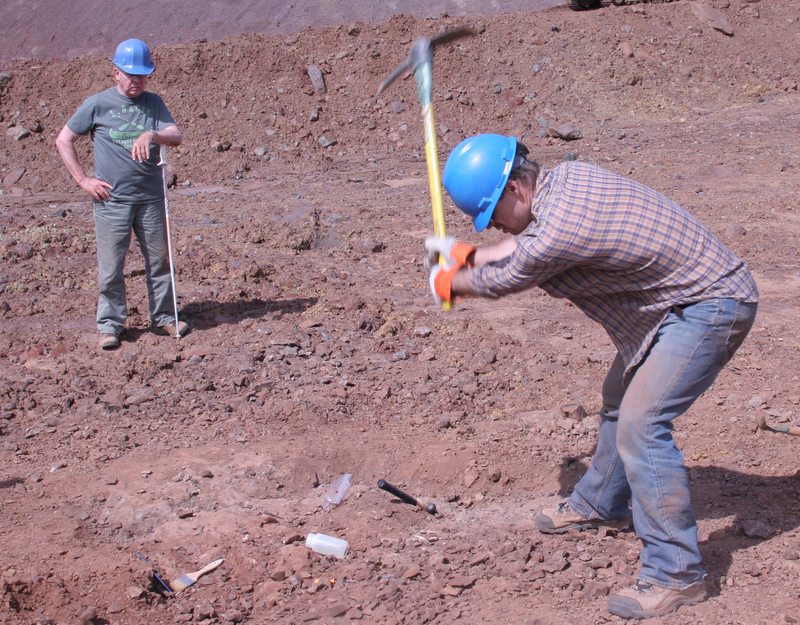 In some areas where we dig, poking around a fossil is no big deal. 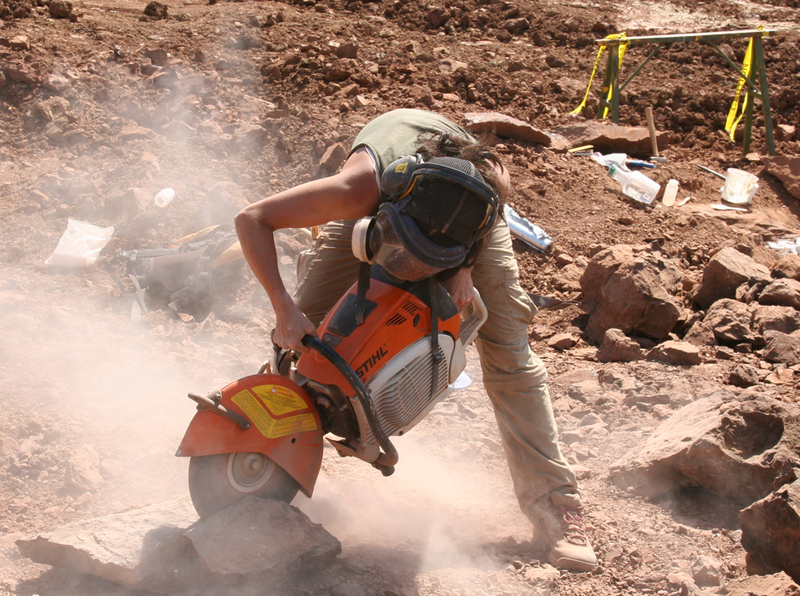 Here in the Triassic of North Carolina the rock is back-breakingly hard and power tools are a must, so a decision to excavate isn’t one to make lightly. North Carolina Museum of Natural Sciences paleontologist Bucky Gates takes a swing at the Triassic, mano a mano. In this case, we were right on the money. An hour of chipping away and we sat back to admire the fossilized underbelly of a phytosaur—an extinct reptile that looks remarkably similar to a crocodile, in part because they had similar lifestyles. Our poor fellow met its maker on this very spot about 228 million years ago. The site was quickly dubbed “Bucky’s Rib Shack” after its discoverer, paleontologist and lover of all things dipped, battered, smoked, and fried, Terry “Bucky” Gates, and the race to get it out of the ground before closing time was on in earnest. “Bucky’s Rib Shack” was open for business for just five days, but during that time we collected a good portion of the skull and skeleton of our crocodile-mimic. The real work began when we brought the bones back to the Museum’s preparation lab. There our volunteers will spend years finishing the hard work we stared that sunny day in March. Recently, I dropped by the lab to check out one of the finished phytosaur bones. As I turned it over in my hands I noticed it was marked by a series of punctures and scrapes—tell-tale signs of predation. Could it be that the Triassic’s version of the king of chomp had met its match? Not surprisingly, we wanted a better picture. What do you do with a 228 million year old bone with holes? 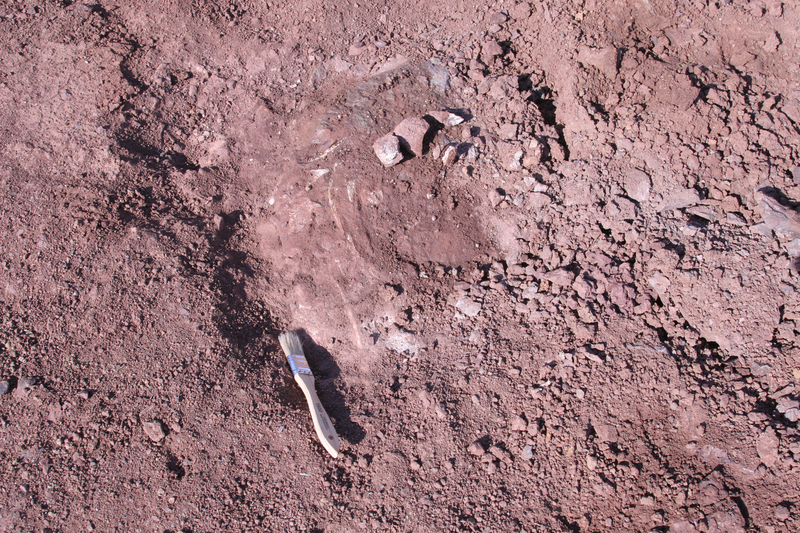 Bucky holds the bitten femur, or upper leg bone, of our newly excavated phytosaur. You take it to the experts for a closer look. Tune in next week when we take our phytosaur femur to the magic-makers at Siemens Training and Development Center in Cary, NC. Reblogged this on NC Museum of Natural Sciences Blogs. Reblogged this on EXPEDITION LIVE!.